A girlfriend of mine recently moved into a new apartment and asked me to help her refresh her décor to match the stylish, fun, bachelorette that she is. I love helping friends design their space and am always so flattered when they ask for my advice. 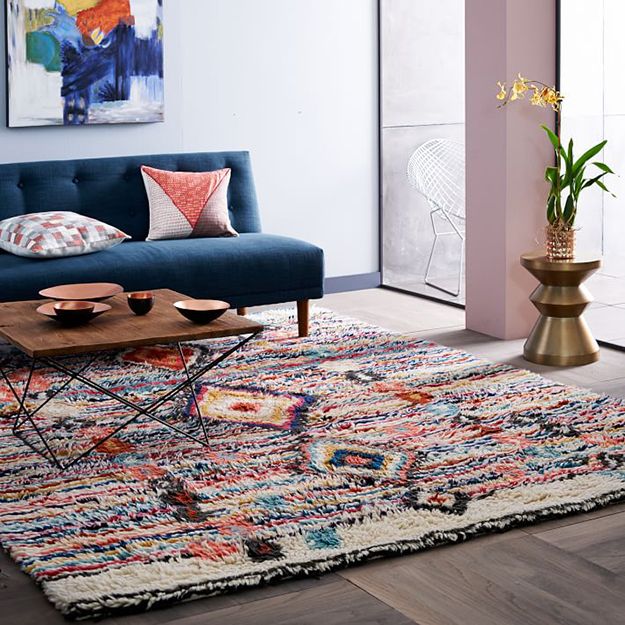 Needless to say, this has gotten me on the prowl for interior inspiration and ideas and I came across the fabulous rugs at West Elm. As you probably have picked up on by now, I love a great rug. 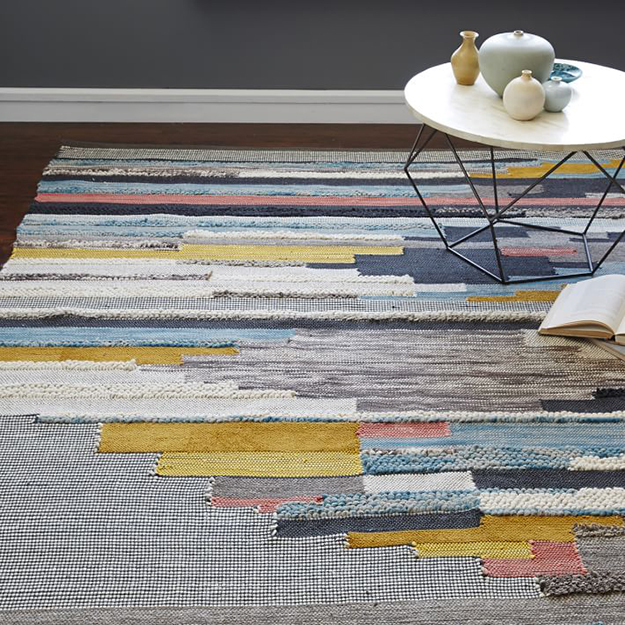 I feel like rugs are such an important element in a space and have the ability to completely tie the look together. 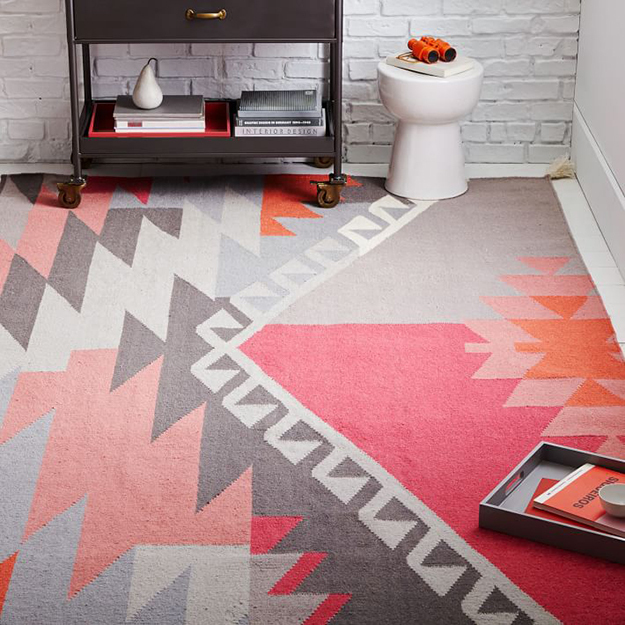 Now, these bold choices are not for everyone but a bold statement rug is always a game changer and these are just fabulous! Looking for more interior inspiration? Follow along on Pinterest for some of my favorite Architecture. Spaces. Interiors and great ideas For House and Home. Happy Monday everybody! I hope you have a lovely week.